A few hours after bidding Gaggan Anand farewell, I was once again at the same table with a famous chef. I had planned to take The Dining Austrian to my favorite Cantonese private kitchen, and rounded up a few friends for the occasion. Then The Man in White T-shirt sent word that a famous chef would like to join us for dinner here, and it was none other than Chef Lee Yuk-lam (李煜霖) - who learned his craft under legendary chef Chef Lee Choi (李才) decades ago. Given that the chefs know each other from their time at Hang Seng Bank's Penthouse banquet hall (博愛堂), this would be an interesting occasion. Barbecued kurobuta pork (黑毛豬叉燒) - always happy to see this plate at the start of a meal. 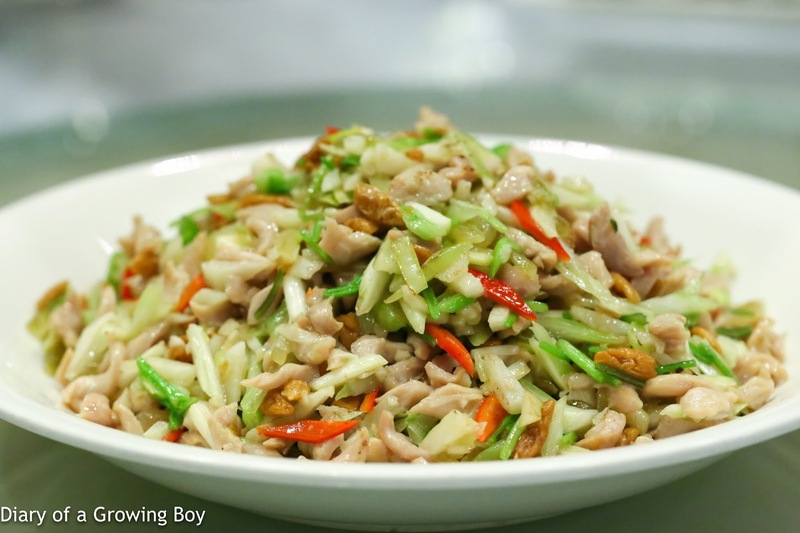 Made with kurobuta (黒豚) pork belly from Kagoshima (鹿児島). This was really, really good. The fat on top started to melt in the mouth... and a nice amount of charring at the edges. 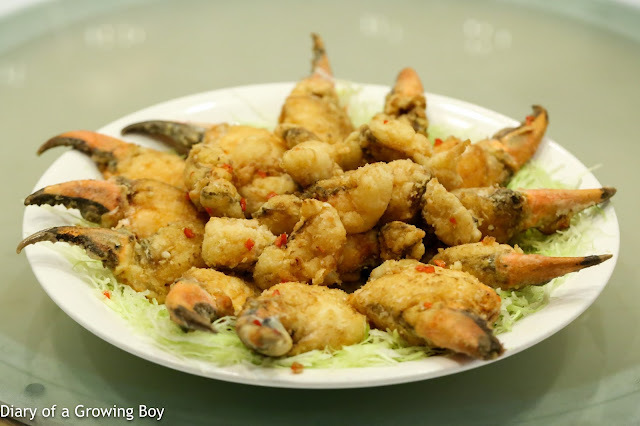 Deep-fried crab claws (椒鹽肉蟹鉗) - another mouth-watering sight - a whole plate of deep-fried giant grab claws! These seemed to be bigger than the ones I've had in past meals here, and honestly this claw tasted a notch better, too! Very, very sweet inside. Perfect execution, it seems. Chef DaRC concurred. 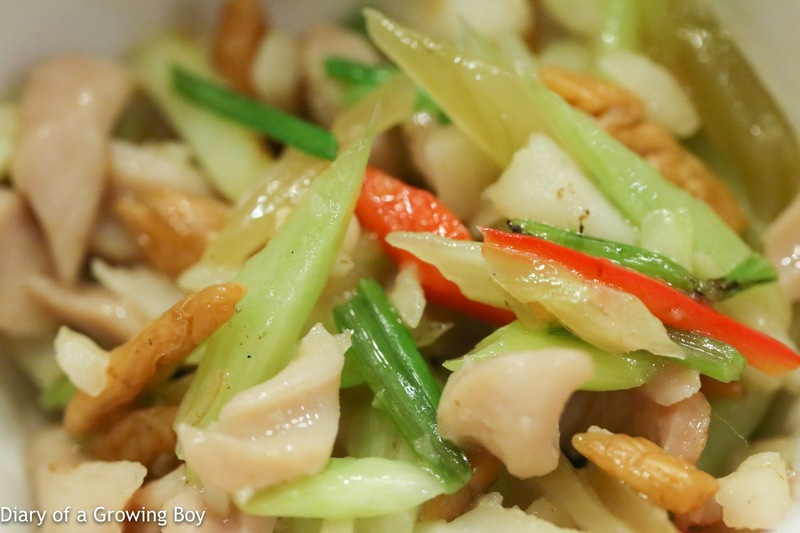 Stir-fried tripe with mixed vegetables (七彩炒肚尖) - another favorite dish of mine, and I haven't found a place that does it better. I was hoping that the execution tonight would be better - meaning that the ingredients wouldn't "sweat" so much and leave a small puddle at the bottom of my bowl. Alas, the puddle was still there in my bowl, but the textures of the pig's stomach tip, sweet pickled mustard stem, celery, red bell peppers, coriander, water chestnuts, yellowed chives, pear, and toasted Indian almonds were excellent tonight - especially the springy texture of the stomach tip. Traditional Buddha jumps over the wall (古法佛跳牆) - Chef DaRC was told that this was the reason for the price hike tonight, and it's not difficult to see why. 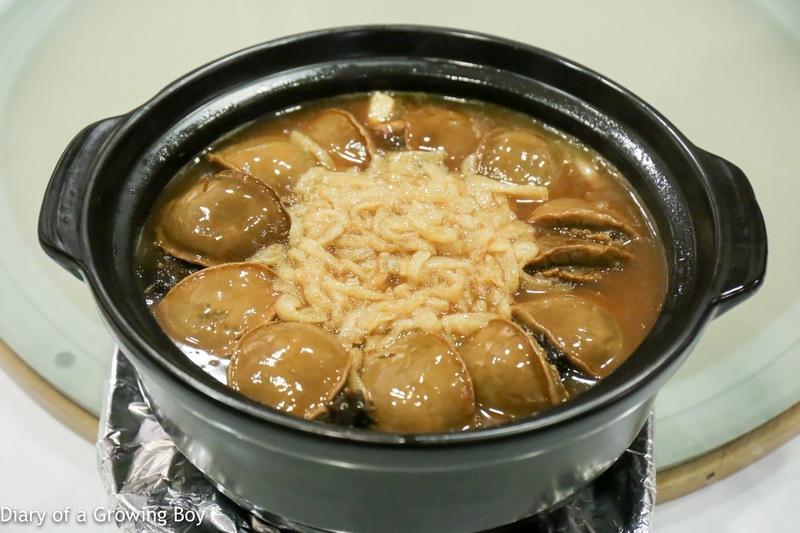 Were the abalones bigger tonight? Of course we asked for some steamed rice to mix in and soak up all the sauce - with all that lip-sticking collagen. Just. Awesome. 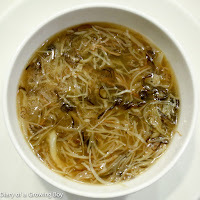 Imperial scholar's five-snake soup (太史五蛇羹) - and THIS, of all the dishes tonight, was the true test. 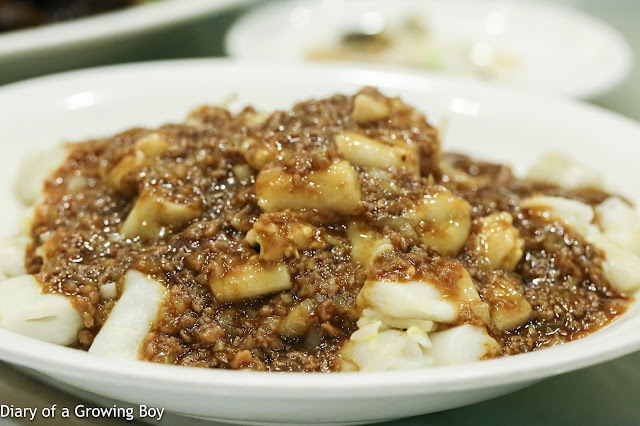 The chef here used to help out Chef Lee prepare snake soup when it was in season, so he needed to bring his A-game tonight. All 5 different types of snake are hand-shredded, although one would never know it when one sees how fine the strands were. Chiffonade of Yunnam ham, shiitake mushrooms, winter bamboo shoots, fish maw, and - most amazing of all - dried mandarin peel aged for 50 years. 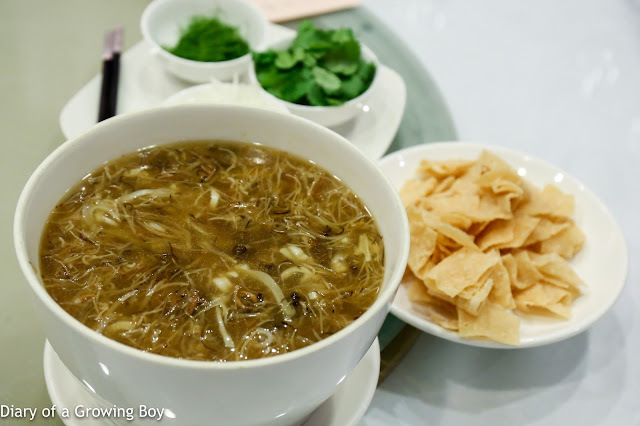 I was just thinking... this has got to be the best bowl of snake soup I have ever had - and I've had quite a few bowls here... Chef DaRC found out after our meal that because the master was dining with us tonight, the chef decided to use some mandarin peel aged for 50 years - instead of the usual stash. No wonder the soup was so fragrant! 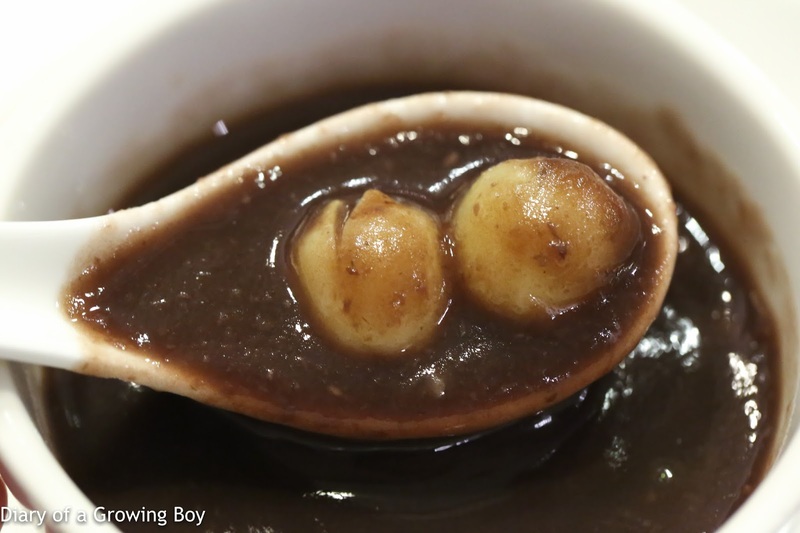 Braised hundred-treasure duck (百寶炆大鴨) - this always looks impressive when it shows up on the table. 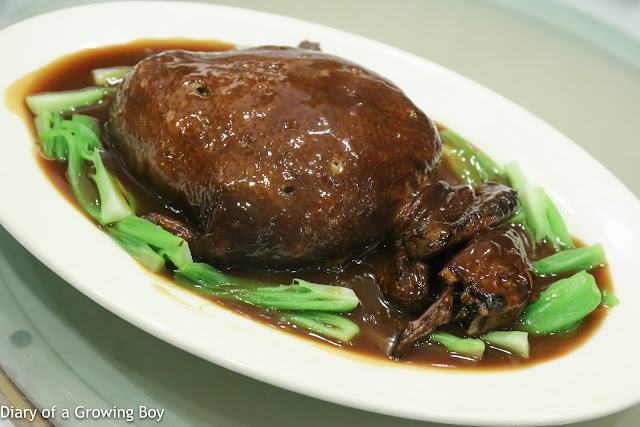 Stuffed inside the pouch made of duck skin were salted egg yolks, chestnuts, Job's tears, shiitake mushrooms, lotus seeds, and chunks of duck meat. Very, very delicious. 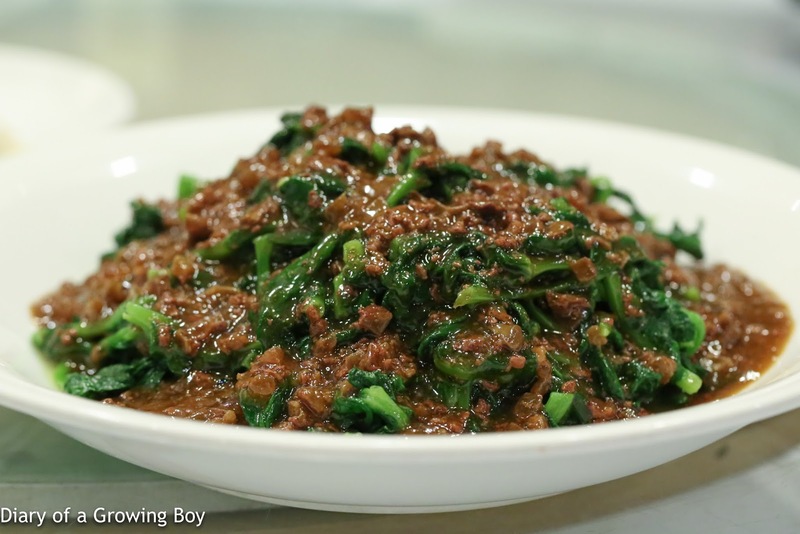 Stir-fried pea shoots with liver sausage (膶腸炒豆苗) - The Dining Austrian and I had just walked past some shops in Macau selling Cantonese sausages, and he had a chance to taste some tonight. 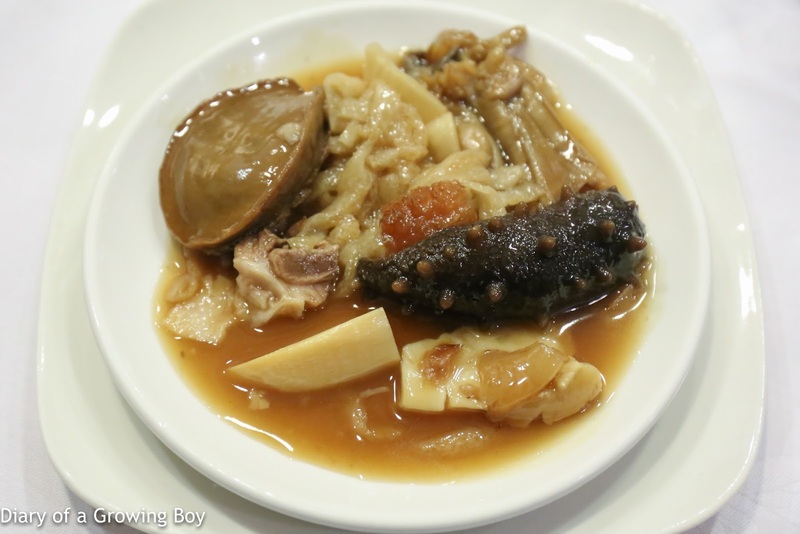 This was as good as I've ever had it here, with the wonderful fragrance of the liver sausages coming from the Chinese Mei Kuei Lu (玫瑰露). Not only did the dishes get an upgrade tonight, the wines that Chef DaRC and I brought were also a little better than usual. I had been planning to open a pair of magnums from Gaja for a long time, and chose tonight as the occasion. 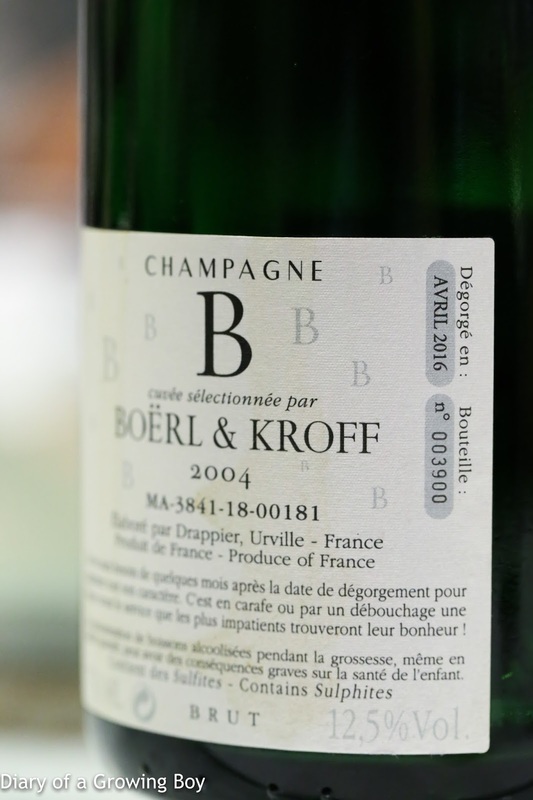 Seeing as I finally decided to bring some decent stuff, Chef DaRC also shared some interesting and special bottles with us - in honor of our special guests. 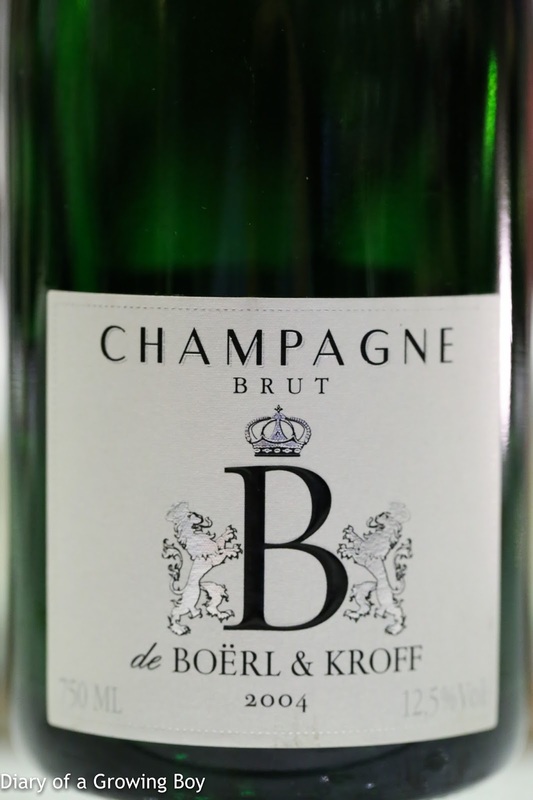 2004 B de Boërl et Kroff, dégorgé en Avril 2016 - very perfumed nose, more elegant than expected. A little honey and flinty, with some acidity on the palate. Toasty notes came out later, and the wine continued to be very rounded on the palate. What a nice surprise! 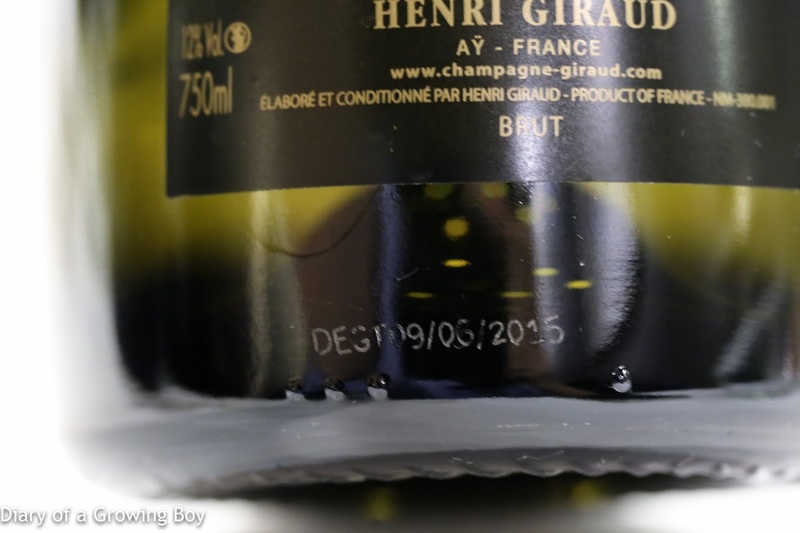 2004 Henri Giraud Argonne, dégorgé à 9 Juin 2015 - leaner on the palate compared to the B, but turned riper later. Bigger and punchier nose, with a bit of honey. 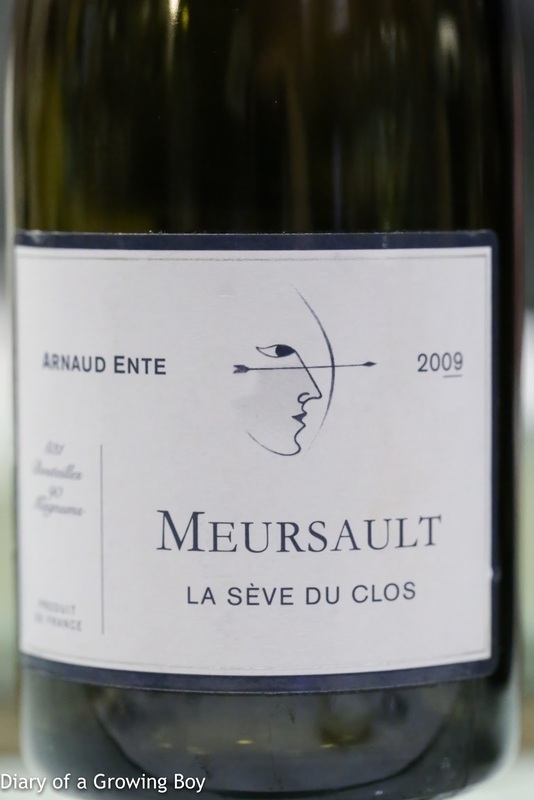 2009 Arnaud Ente Meursault La Sève du Clos - plenty of toast on the nose as expected. After 1½ hours in glass the nose was very beautiful and toasty. 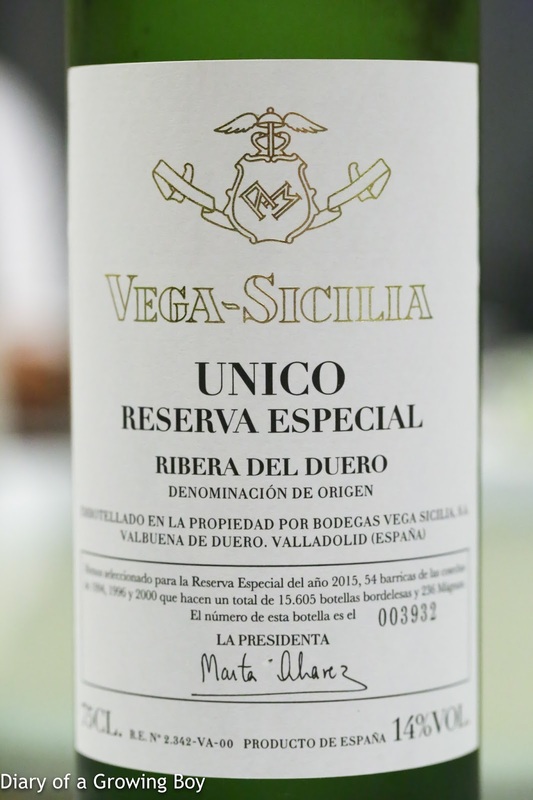 Vega Sicilia Unico Reserva Especial (1994/1996/2000) - opened 4 hours prior to serving. 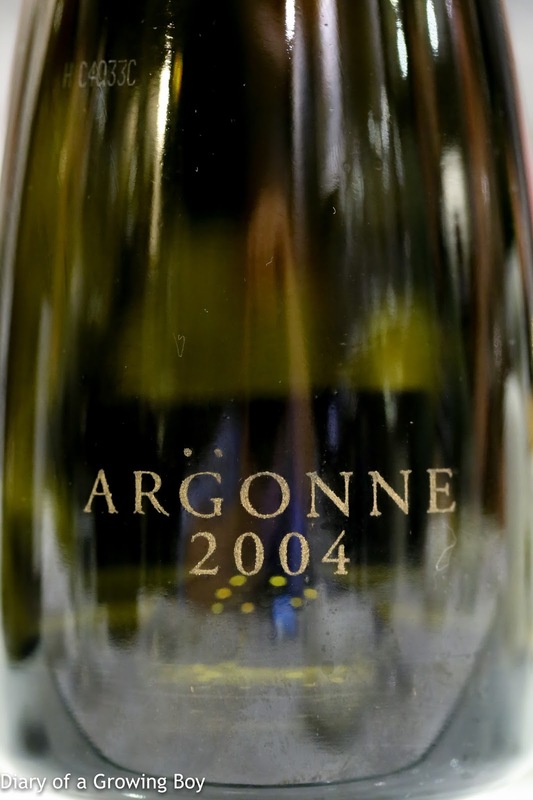 Very ripe and sweet nose, with eucalyptus, smoke, coconut, and exotic tropical notes. Classic Unico, and really beautiful. My wine of the evening. 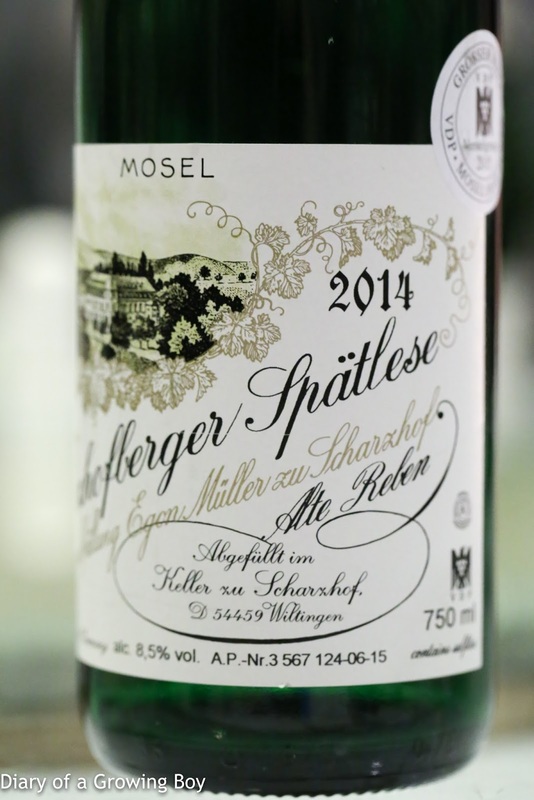 2014 Egon Müller Scharzhofberger Riesling Spätlese Alte Reben - floral with a little flint and a little polyurethane. Good acidity balance here. 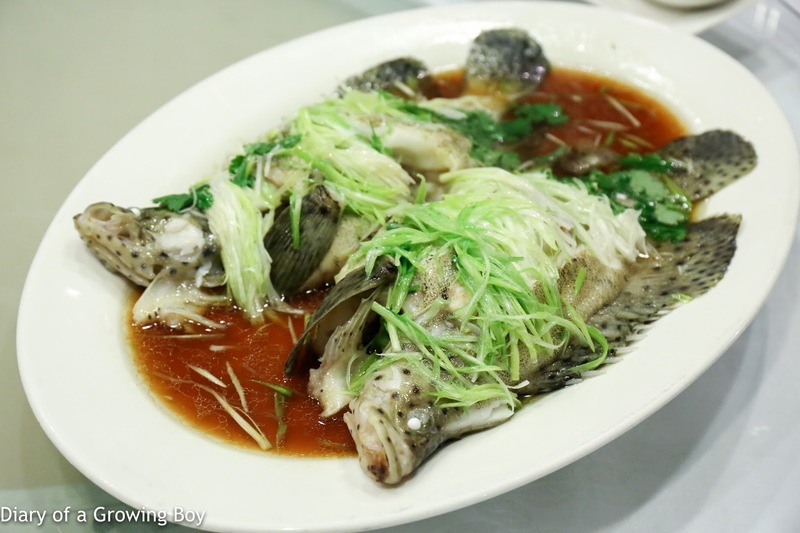 This was paired with the snake soup, as Chef DaRC felt that some viscosity was needed in the wine for this. 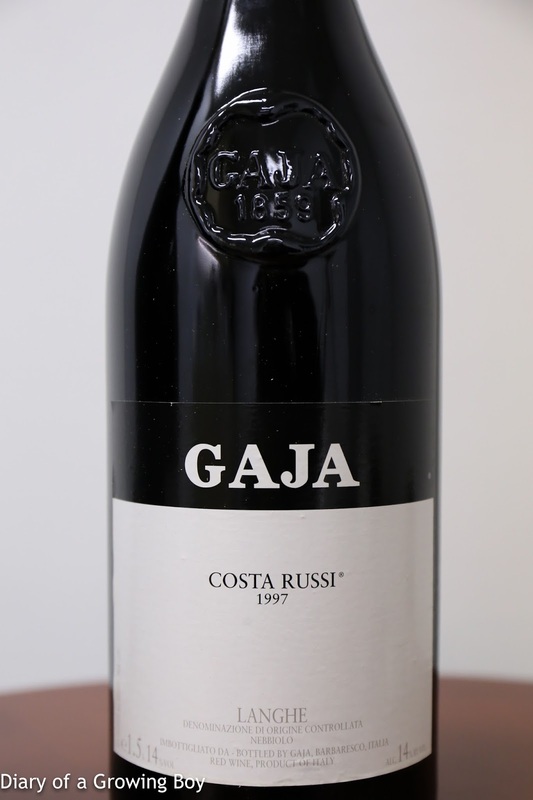 1997 Gaja Langhe Costa Russi, from magnum - opened 10 hours prior, double-decanted 3½ hours prior, and poured into decanter 30 minutes prior to serving. Tannins were still here. Not bad, but not as opened as I had hoped... although it was also more muted compared to Sorì San Lorenzo even just after opening. A little smoky nose, and still somewhat sweet on the palate. 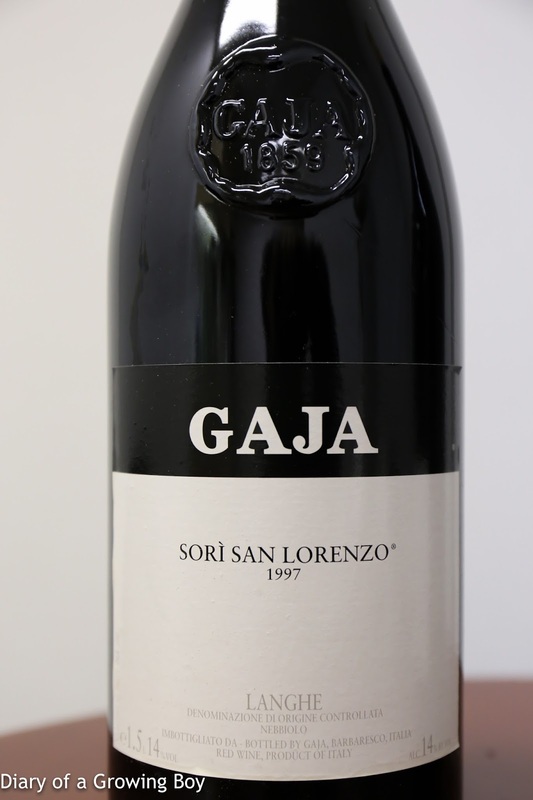 1997 Gaja Langhe Sorì San Lorenzo, from magnum - opened 10½ hours prior, double-decanted 4 hours prior, and poured into decanter 1 hour prior to serving. This was much more open compared to Costa Russi, with fragrant nose with lots of cedar notes. Also a little sweet on the palate. We were truly fortunate tonight to have been in the presence of Master Chef Lee Yuk-lam - which also resulted in arguably the best meal I've ever had in my favorite Cantonese private kitchen. Now I'm really looking forward to a week from tonight - when I will have the pleasure of tasting dishes personally cooked by Chef Lee. CAN'T.HARDLY.WAIT.